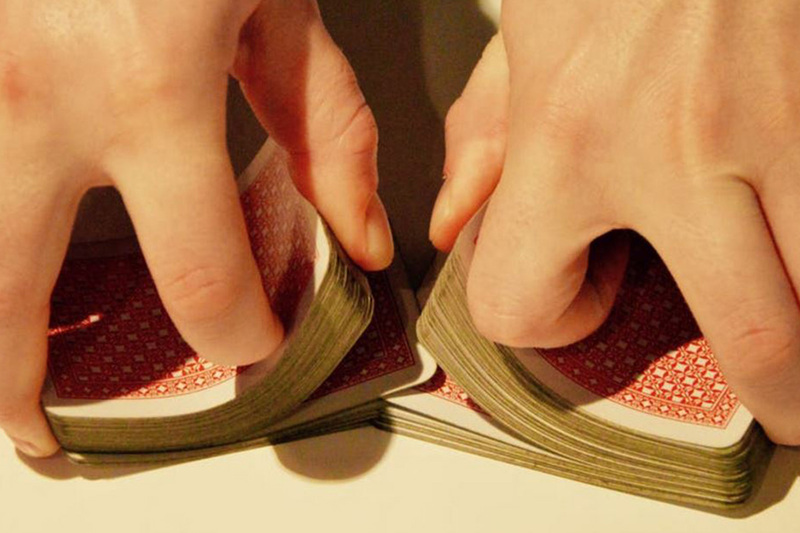 Stick to magic, or dare to innovate? The world is changing rapidly, and so too the heavy engineering metals industry. Now, more than ever – the risk of ‘not taking competitive risk’ will be the future downfall of many. That’s why we’re currently focused on stepping into the unknown and driving research into clean energy technology development and innovation – influenced by the worlds growing need for climate change reforms and reliable electricity supply. As a result our R&D has led us on a journey to harness geothermal and waste heat low enthalpy resources through custom built, cost effective Organic Rankine Cycle (ORC) technology. Made up of several components, a particular area of interest has been the humble heat exchanger and how its thermal performance and physical size can be manipulated to maximise operation efficiencies – a task not easily achieved within the limited design parameters currently available. Regardless of the industry in question, it’s likely it’ll require some type of temperature regulation – which is why exchangers are easily one of the most important and widely used pieces of process equipment to transfer heat from one medium to another. Industrial applications aim to maximise this heat transfer by providing larger heat surface areas, and an example of this being done is in air cooled finned tube condensers where thermal duty is constrained by air side key parameters such as inlet temperature, mass flowrate, surface area, thermal conductivity and geometry configuration. To date, industry has normally focused on increasing this surface area at the air side by using fins along the tubes rather than the refrigerant side inside the tube, as its coefficient is much higher. A conventional solution to overcome this has come in the form of straight long tubes associated with a considerably thicker thermal boundary layer near the wall where molecular conduction becomes significant. 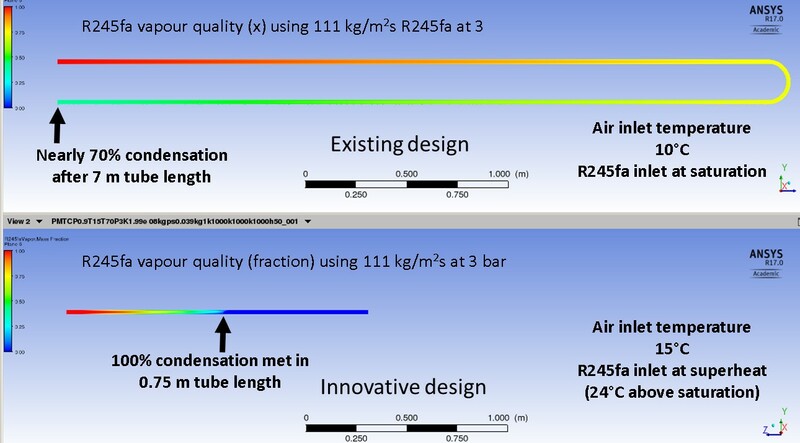 However, as molecular conduction is low for the air and refrigerant its heat transfer becomes lower, requiring a larger number of tubes – which in this case would cause a 500 kW air cooled condenser to become approximately eight times larger than that of a similar duty evaporator. It poses the challenge – how can we better increase the surface area and molecular thermal conductivity without increasing the heat exchanger footprint? One way to increase heat exchanger efficiencies has been through the use of graphene, also dubbed ‘magic material’. Recognised for its superior thermal performance and anti-scaling surface property which make it particularly suitable for geothermal environments where this is a problem, its thermal conductivity of 1000 W/mK is four times more than aluminium and more than two times that of copper. Not surprisingly, it’s become the material of choice – but one at a high cost due to its current manufacturing process via 3D printing. At HERA, we believe that there are opportunities to overcoming these challenges and significantly improve air cooled condensers as part of our AGGAT programs goal to increase heat transfer at both the air and refrigerant side through effective thermal conductivity using porous media – decreasing the thickness of the thermal boundary layer and inducing turbulence. By using our in house expertise in thermal analysis utilising computational fluid dynamics (CFD) we’ve recently compared the effect of existing industrial materials such as aluminium and copper with new materials such as graphene to better understand whether they’d make a viable and cost-effective alternative. Using ANSYS/CFX and high performance computing of the NESI Cluster from Auckland University for simulations, the influence of several parameters of these commercially available porous metal foams on heat transfer and pressure drop have been examined with R245fa refrigerant used as a working fluid at a 45.7°C condensation temperature and three bar pressure for performance assessment. So far, our findings show that heat transfer with porous media is superior to existing methods and can reach similar heights of the magic material itself – with total condensation achieved using half the number of tubes, thermal performance increased by more than three times and a reduction in tube length by a factor of four. And while investigations and analysis in partnership with member company Advance Boiler Services NZ Ltd and their test rig are in the early stages, initial indicators show that using this material could assist in reducing the heat exchanger footprint and even enhance its heat transfer capability – resulting in significant economic benefits through reduced manufacturing needs, a competitive market offering and a more efficient ORC plant. Innovation sounding the better option to you now? In a quest to advance our ORC technology, pushing the boundaries of what is known has been key and has led to the scope of heat exchanger parameters opening up for further innovation. Our preliminary findings have indicated porous media can be a workable solution delivering many of the benefits of graphene – which likely can reach price parity, if not beat it. Certainly in the short term, this could be a possible alternative until such a time as graphene’s availability and manufacturing costs can be improved to become a more sustainable option for mainstream use in the future. If you’d like to find out more about porous media and its possible application, or you have a project that may benefit from it, contact our Research Engineer Dr. Haiam Abbas. Alternatively, if you’ll be attending the MaD for the Future national conference for innovation in manufacturing and design on 10 May 2017 – be sure to catch her presentation titled ‘Innovative Design of air cooled highly finned tube condenser’, Room Rangitoto 3, from 10.30am.